OVO AVIATION is specialized in selling a diversified range of aircrafts, engines and other equipment for sport aircrafts. Businesses and private individuals enjoy the benefit of having their own personal airplanes. The flexibility of scheduling and destinations, as well as avoiding congested airports and security lines are just some of the benefits. There is also the advantage of traveling in privacy as family members, friends, or business executives have the aircraft to themselves for conversations or meetings. 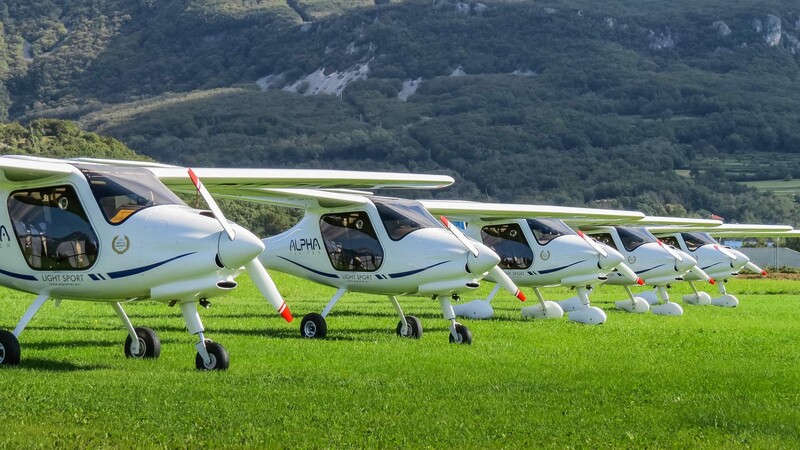 One of the world wide brands that you can find on our page is Pipistrel – one of the industry leaders in light composite aircraft. From a simple to fly, yet fully equipped trainer ultralight such as the Alpha Trainer, self-launching gliders like the Taurus or Apis, touring motor gliders Virus and Sinus, nimble high speed hot rods such as the Virus SW to the luxurious four seater cross country cruisers like the Panthera. All aircrafts have one thing in common; they are made of the most advanced composite materials, using the latest design technologies. This makes Pipistrel aircraft world famous for the most aerodynamic, lightest, and fuel efficient aircraft available. Constantly innovating, the Pipistrel team has produced multiple world record winning aircraft. Our greatest achievement to date is winning the NASA challenge three consecutive times. Two wins with the highly popular Virus SW and one win with the proof of concept fully electric Taurus G4.